Jamie Caven has been on an amazing journey. It is a journey full of twists and turns, trials and tribulations which would have seen many men wave the white flag. But Caven has succeeded where many would have failed and he hasn't finished yet as he plots the next stage of his darting career. Tournament wins, a regular in the world's elite top 32, a book and a darts academy to help the stars of the future.....it is all in a day's work for one of the good guys in the world of darts. The World Youth Champion at the age of 17, he has now won seven tournaments on the PDC Pro Tour. Caven is also a member of a very exclusive club.....players who have won both events at a Pro Tour weekend. He achieved the feat in May 2013 when he won both Players Championship tournaments in Wigan beating Paul Nicholson and Jelle Klaasen in the respective finals. 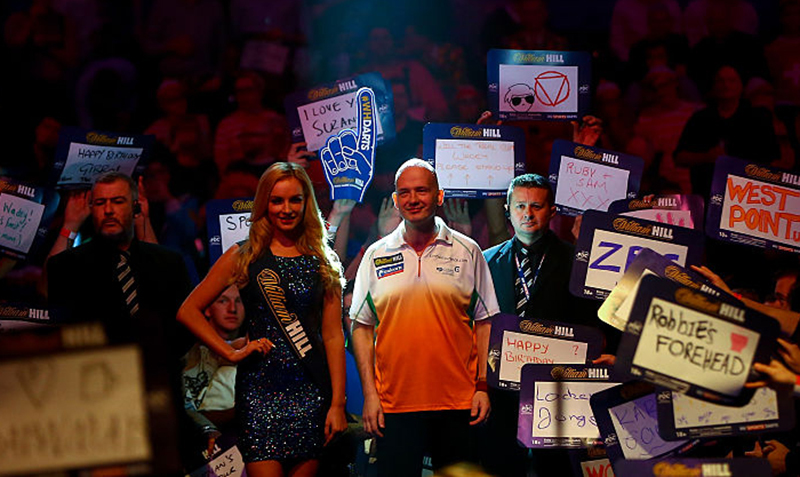 Caven has also lost five other Pro Tour Finals and has reached four 'Major' TV Quarter-Finals. But the man who is affectionately known as 'Jabba' has not had it easy. Aged just 20, Caven had his pancreas removed and now has to inject himself with insulin four times a day - hence the 'Jabba' nickname. The fact that Caven is one of the best in the business is testament to his courage and determination and the never-say-die spirit which encapsulates his game. As a baby, he lost the sight in his right eye - blinded after being stung - and to play darts at the very highest level with vision in only one eye is an incredible feat. It is a compelling story and your can read just how Caven has managed to do what he has done in his biography "The Way Eye See the Game" which is available to buy from Amazon. It is a great read and an inspiration to many. "I won't complain. Those are the cards I have been dealt and I just get on with it. Winning on the oche makes all the hard work worthwhile." Caven is already putting something back into the sport which is his life. 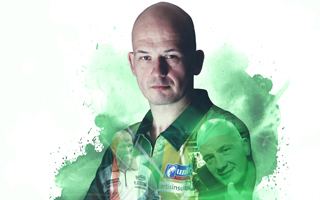 In 2014 he launched the Jamie Caven Darts Academy, supported by Unicorn, in his hometown of Derby. "I felt it was important to encourage the youngsters and wouldn't it be great if we could uncover a champion!" he said. "But really, it's all about the kids enjoying themselves and learning about the sport. It is the same and built on Steve Brown's Darts Academy's in Bristol. We have over 30 kids aged from 6-16 and Unicorn's backing and support is invaluable. I am constantly amazed by the standards." He married Debbie in 2009 and has battled back against adversity once again after his father passed away in July 2012. For a time it affected his form. He missed out on qualification for three 'Major' tournaments and lost in the 1st Round of both the World Championship and Players Championships. But Caven is made of strong stuff and slowly his form has returned. When he is on top of his game, he is great to watch. He is on the verge of the next big breakthrough - into the world's top 16 and he is targeting a first 'Major' title. We thought he was on his way to a first 'Major' semi-final at the 2013 European Championships in Germany. 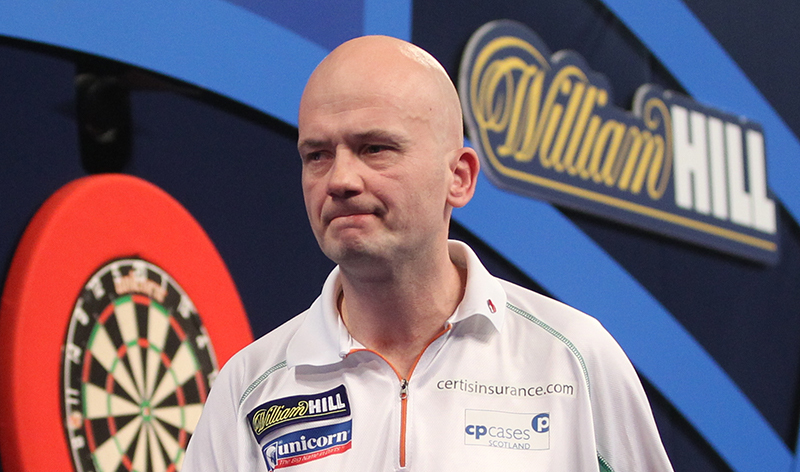 After terrific victories over both Dave Chisnall and James Wade, Caven faced Aussie Simon Whitlock in the last eight. He was 9-3 in front, needing just one more leg to win, but unfortunately Caven hit the wall. He missed some match darts and then saw Whitlock get on a roll to win 10-9. "I am still learning all the time," he said. "That was tough to take but I know I have the game to succeed in the big TV events. It took me some time to get used to the big TV stages but these tournaments are why we play the game." A place in the top 16 is well within his grasp. He has the support of Unicorn until at least 2017 - which will take his association with the world's leading darts manufacturer to eight years. He has appeared in seven consecutive World Championship events and the 2014 tournament at the Alexandra Palace so nearly saw Caven make some darting history. He beat Jelle Klaasen in round one before losing a thriller to Raymond van Barneveld by four sets to three....and he had the crowd on its feet as he closed in on a 9 darter, but agonisingly after eight perfect darts, Caven wired D12 for the sport's holy grail. He has twice reached the quarter-finals of the UK Open when it was staged at Bolton in 2009 and 2012 and those two European Championship quarter-final appearances came in 2010 and of course 2013 when he suffered that heartbreaking defeat to Whitlock. Caven's breakthrough victory came at a UK Open qualifier in Wales in 2009 when he beat Alan Tabern in the final. 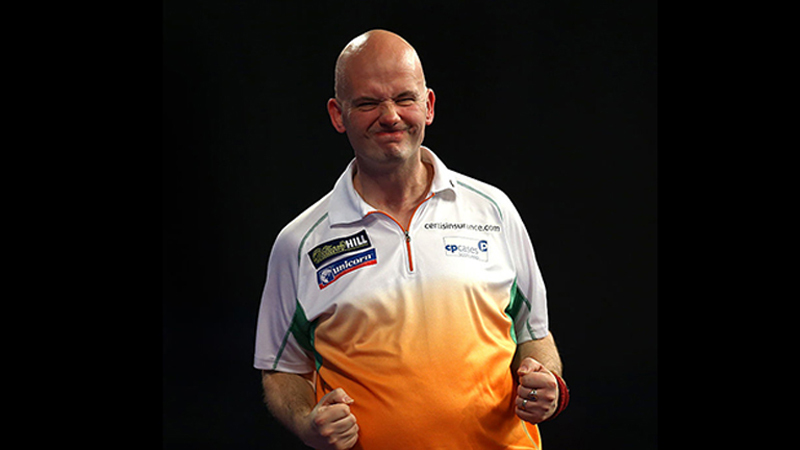 Since then he has won PDC ranking events in Canada, Austria, Dublin, Derby and that double-header in Wigan. He also reached the semi-finals of Championship League Darts at Crondon Park in 2012. "The fantastic support I get from Unicorn is an inspiration and I will repay them! Remember, it took Kevin Painter 20 years to win his first big one." Caven is hugely popular on the circuit - and is always there to help other players. And the Jamie Caven 23gm Unicorn darts are always top sellers. The World Matchplay and the famous Winter Gardens remain his favourite venue, which is why he is so desperate to improve on just one single appearance in the 2nd Round which came in 2013 when he lost 13-10 to Dave Chisnall in a quality encounter. 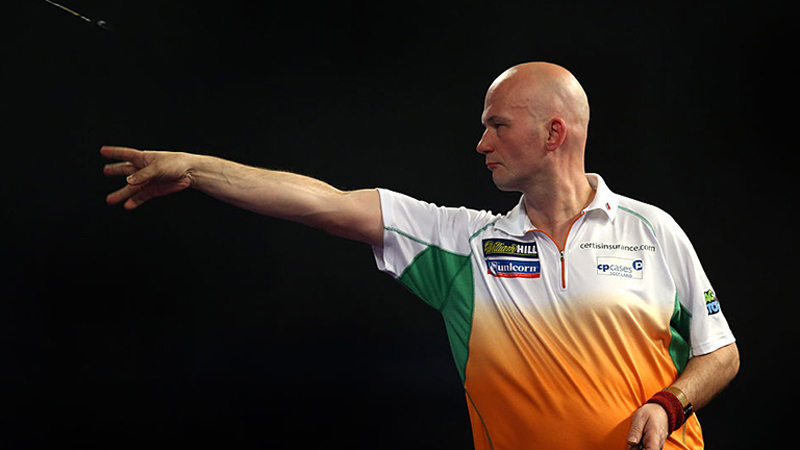 You get the feeling that darts crystal ball is only seeing good things for Jamie Caven. He deserves his success and hopefully more triumphs than trials and tribulations down the darting line for the man known simply as 'Jabba'!